Communists of Nepal have traditionally maintained close relations with Indian politici­ans, that often extended bey­ond the Left parties. From the time Pushpa Lal Shreshta and his comrades launched their political outfit in September 1949 in Calcutta, Nepalese communists have looked at Indian parties for inspiration. Some, like Manmohan Adhikari, Nepal’s first elected communist prime minister, was even arrested during the Quit India movement as a student in Varanasi. However, when the two big communist parties of Nepal came together to merge into one political outfit last week, they certainly appear to be exemplars for the Indian Left, which continues to exist—and struggle—as several fractious communist organisations. But the merger decision also had enough for policy planners in South Block to mull over and assess its import. 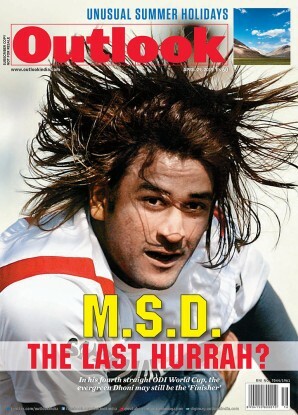 On May 17, K.P. Sharma Oli’s Communist Party of Nepal (Unified Marxist-Leninist) and Pushpa Kamal Dahal Prachanda’s Communist Party of Nepal (Maoist Centre) merged to become the Nepal Communist Party—giving it over 60 per cent of the 275 seats in the current lower house of the Nepalese parliament. 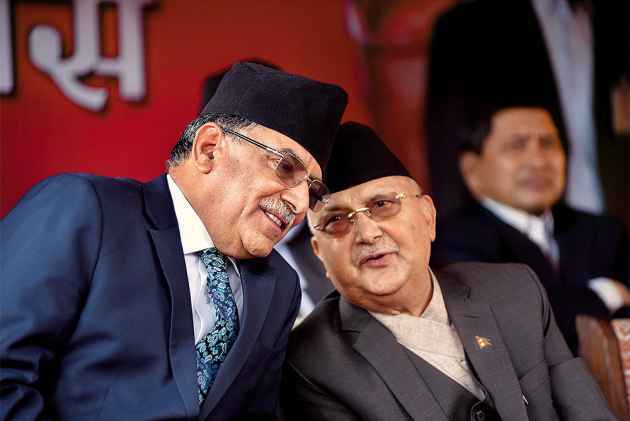 Politically influential in Nepal for long, a merger of the two CPNs gives India little chance to create fissure between allies and topple regimes. This came as part of the agreement the parties had struck during last year’s parliamentary polls. For Maoist leader Pra­­chanda, this has serious implications. Though he is co-chairman of the NCP with Oli, he ended up getting lesser number of seats than the former CPN (UML) leader. Undoubtedly, he joined the alliance as a junior partner and is widely believed to have closed his options by agreeing to merge his outfit with that of Oli’s. “This means Prachanda has decided to foreclose his future options,” says former Indian ambassador in Kathmandu, Ranjit Rae. By implication, this means the leader is no longer willing to destabilise the present government by joining ranks with other political parties. This is not good news for India. Perennially, New Delhi has been the proverbial ‘king-maker’ in Nepal, which made it much disliked in the neighbouring country. But its ability to initiate fissures in parties and form governments also gave India the clout and much-needed relevance in Nepalese affairs. The merger, allowing a much stronger government in Kathmandu, gives Nepal a stable regime, making it less susceptible to the threat of being toppled. Even if Prachanda wants to do so, he will now have to get over 40 per cent of communist parliamentarians to create a breakaway faction. Interestingly, though the decision to merge the two communist parties was taken at the time of last year’s parliamentary election, the formal part of uniting them came days after Prime Minister Narendra Modi’s visit to Nepal and weeks before the Nepalese PM travels to China on an official visit on June 19. Given the current bonhomie between Modi and Oli, it is likely that the two premiers discussed this during their closed-door interaction in Kathmandu early this month. It is safe to assume that Oli must have assured Modi that nothing will be done against Indian interests and to diminish its role in Nepal. Sources, however, say that one of the main backers of the move had been China, which sees a stable government in Kathmandu serving its interest best. To what extent can India accommodate China’s growing presence in Nepal will be gradually clear, and certainly after Oli’s visit next month. Optimists in the Indian establishment still see some hope in the factions that exist in Oli’s outfit led by Madhav Nepal, Jala Nath Khanal and Bamdev Gautam. If and when they want to clip Oli’s wings, they may use Prachanda to marginalise the PM, who is currently extremely popular and powerful. Such a situation may bring back New Delhi into play in Nepalese politics. For the time, however, as Nepal watchers in India keep a keen eye on developments in Kathmandu, a delegation of Indian communists are soon planning a trip to Nepal. It will be no less important to see what lesson they draw from their visit to the neighbouring country.